^ Gullan, Harold I. (c2004). First fathers: the men who inspired our Presidents. Hoboken, N.J. : J: John Wiley & Sons. pp. xii, 308 p. : ill. ; 25 cm. ISBN 0471465976. OCLC 53090968. 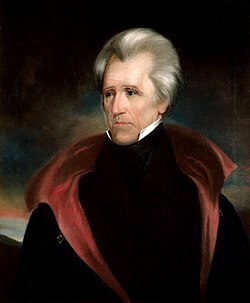 LCCN 20-3. http://books.google.com/?id=YSt1AAAAMAAJ&q=%22Andrew+Jackson,+Sr.%22+-inpublisher:icon&dq=%22Andrew+Jackson,+Sr.%22+-inpublisher:icon&cd=9 2010年1月14日閲覧。. ^ a b Paletta, Lu Ann; Worth, Fred L (1988). The World Almanac of Presidential Facts. World Almanac Books. ISBN 0345348885. ^ Jackson, Andrew, (1767 - 1845),. Biographical Directory of the United States Congress. ^ Kathleen Kennedy; Sharon Rena Ullman (2003). Sexual Borderlands: Constructing an American Sexual Past. Ohio State University Press. pp. 99–101. http://books.google.com/books?id=3sWFu3IchEMC&pg=PA99. ^ Meacham, Jon (2008). 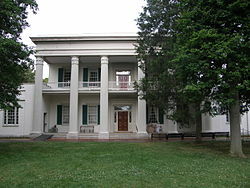 American Lion: Andrew Jackson in the White House. New York: Random House. pp. 22–23. ISBN 978-1-4000-6325-3. http://books.google.com/?id=FYFsufPTrnEC&printsec=frontcover&dq=American+Lion:+Andrew+Jackson+in+the+White+House&q=. ^ 宇佐美滋. ファーストレディ物語. p. 94. ^ Brands, H. W. (2005). 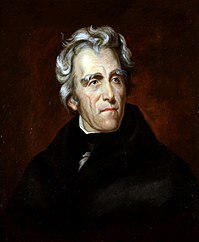 Andrew Jackson: His Life and Times. New York: Anchor Books. ISBN 978-1-4000-3072-9. ^ ポール・F・ボラー・ジュニア（著）、吉野寿子（訳）. アメリカ大統領の妻たち. p. 93-94. ^ Remini, Robert V. (2013). 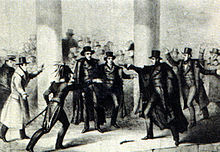 Andrew Jackson: The Course of American Democracy, 1833–1845 (Volume 3). Baltimore: JHU Press. p. 518. ISBN 978-1-4214-1330-3. http://books.google.com/books?id=Ra8-AAAAQBAJ&pg=PT518#v=onepage&q&f=false 2014年6月26日閲覧。. ^ Rutland, Robert Allen (1995). The Democrats: From Jefferson to Clinton. University of Missouri Press. pp. 48-49. ISBN 0826210341. ^ Rutland, Robert Allen (1995). The Democrats: From Jefferson to Clinton. University of Missouri Press. pp. 55?56. ISBN 0826210341. United States Congress. "アンドリュー・ジャクソン (id: J000005)". Biographical Directory of the United States Congress.